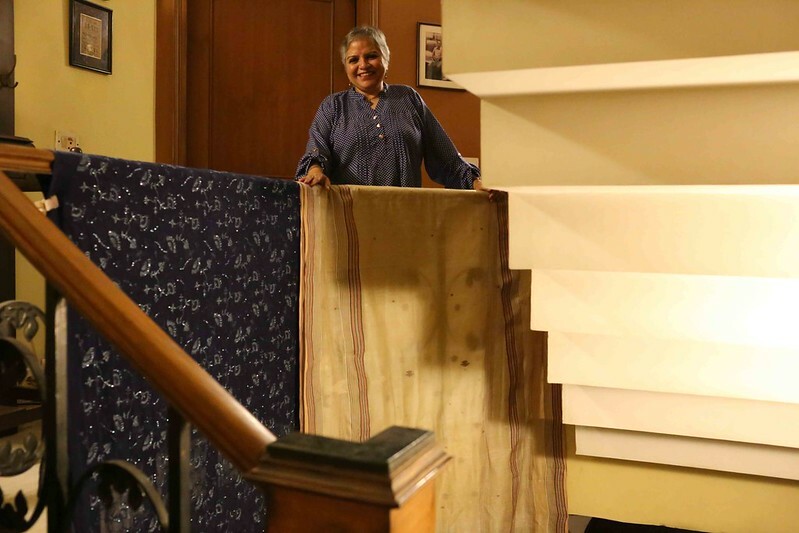 Two gorgeous saris are hanging down from her staircase. The blue chiffon bought 20 years ago in Lahore, Pakistan, is for tonight’s dinner — very apt indeed, as it is in the home of a Pakistani friend. The beige kora silk is for work tomorrow. 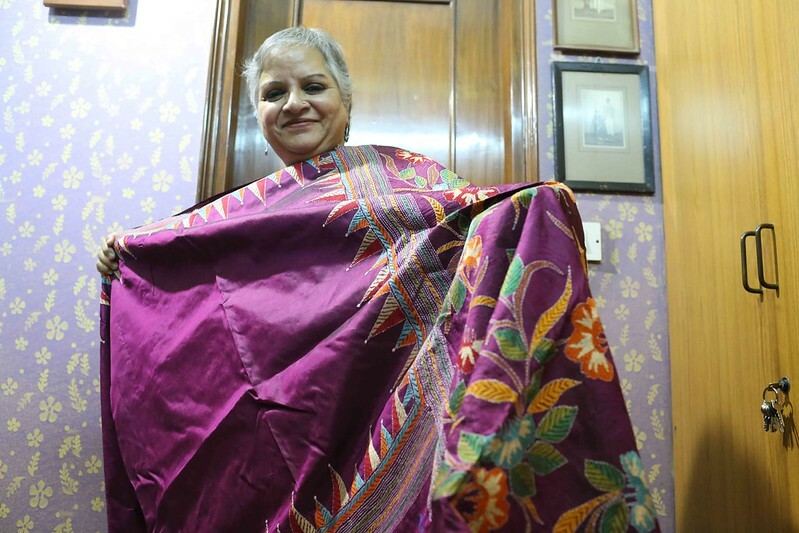 Padmavati Dua — her friends call her Chinna — wears a sari every day and, hours before dressing up, she irons and hangs it on the handrail to avoid any creases. Her patients may know Dr Dua as a radiologist, but to most of us she is the woman who inundates her Facebook account with sari selfies. 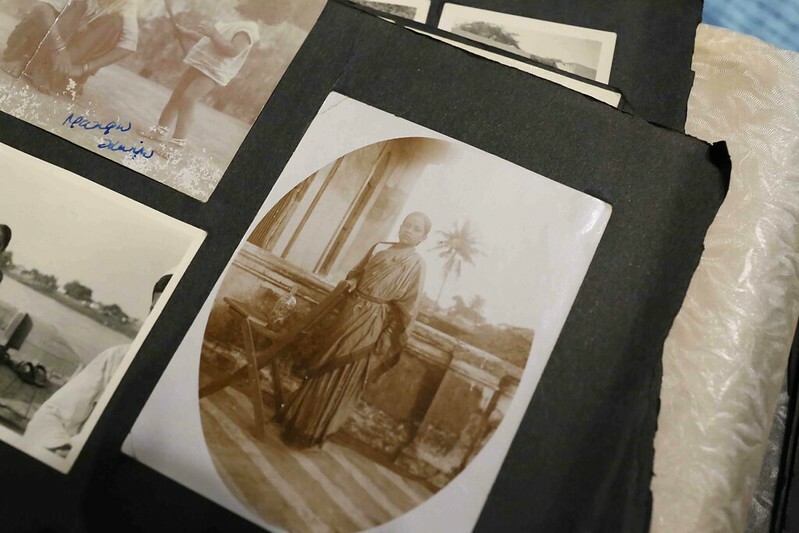 And that’s generous of her — after all, her saris are incredibly pretty. 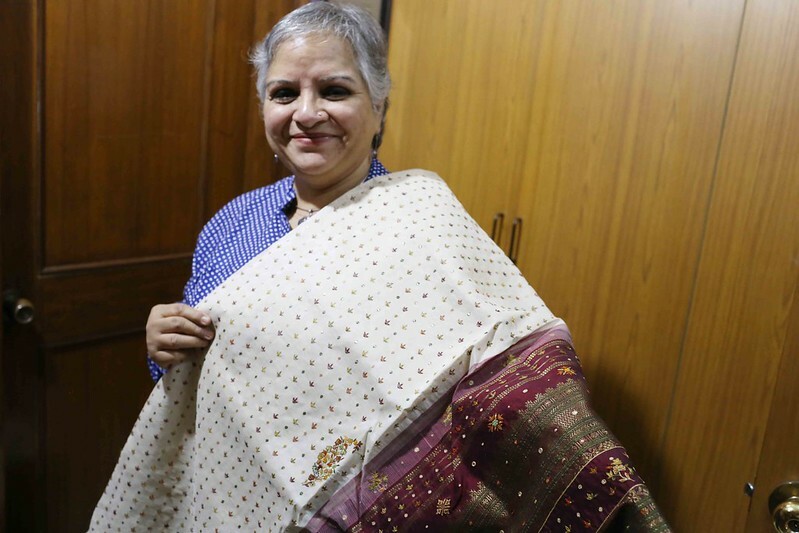 She is a well-known face of the famous Facebook group ‘Six yards and 365 days’ in which over 20,000 sari-wearing members share the same objective: wearing saris every single day of the year. 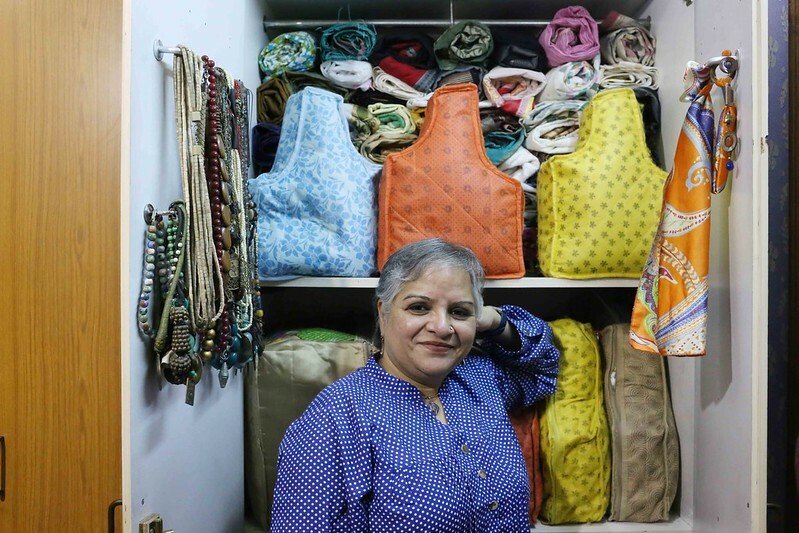 Many of Ms Dua’s friends and followers on social media would dream of exploring her wardrobe in person. 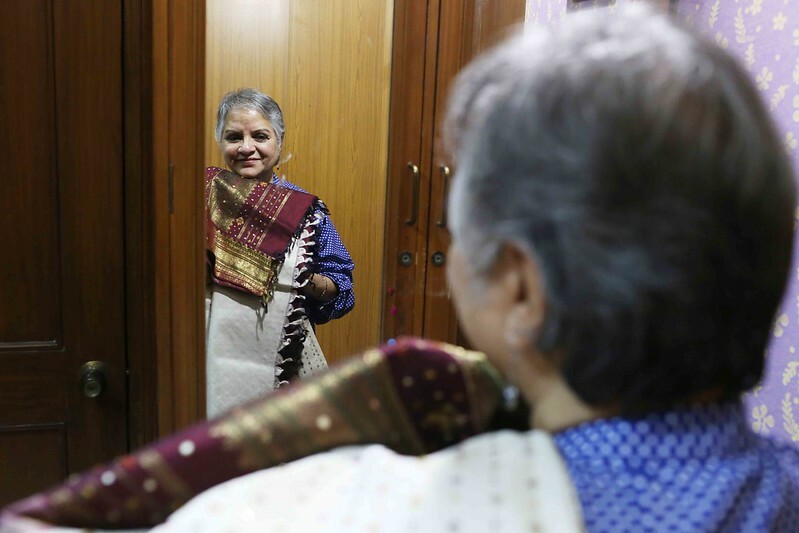 The Delhi Walla is lucky, for one evening, at her home in north Delhi’s Raj Narayan Road, she personally escorts me to her sari closets. 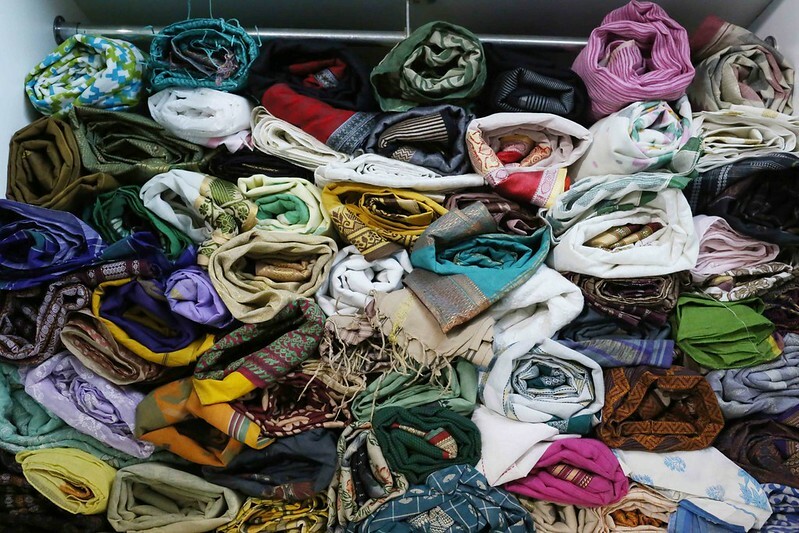 Ms Dua has more than 400 saris. 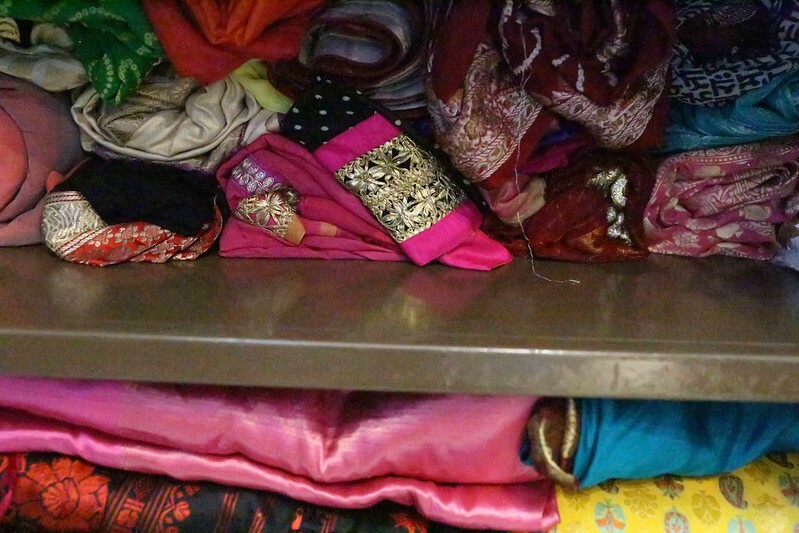 The saris are all rolled (not folded) and arranged one upon another like salt packets on a grocer’s rack. “I can take out any sari I want without messing the others.” She pulls out a green roll from deep in the middle. It’s a Kanjeevaram. The empty space is looking like a little tunnel and, this is magic, no other sari has moved even an inch. Ms Dua victoriously puts back the Kanjeevaram. It goes back into the void as smoothly as it left, without disturbing its neighbours. And what are those curious-looking packets? 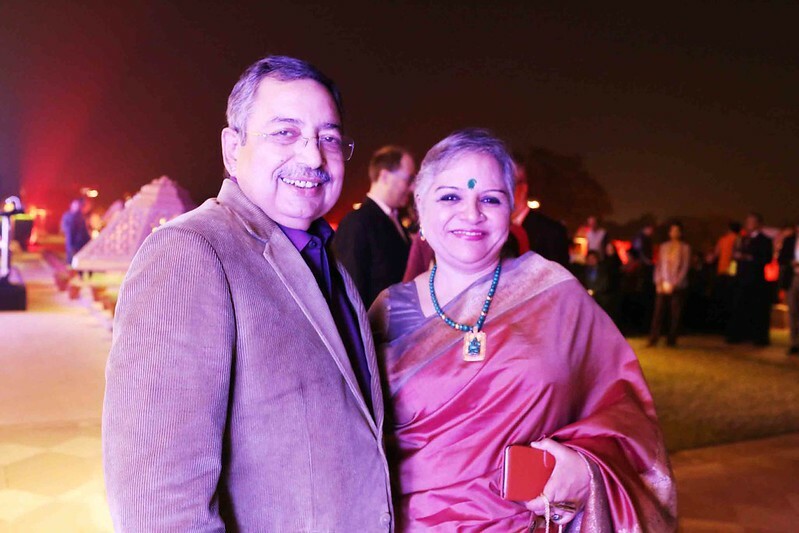 Ms Dua’s husband is a sari extremist. 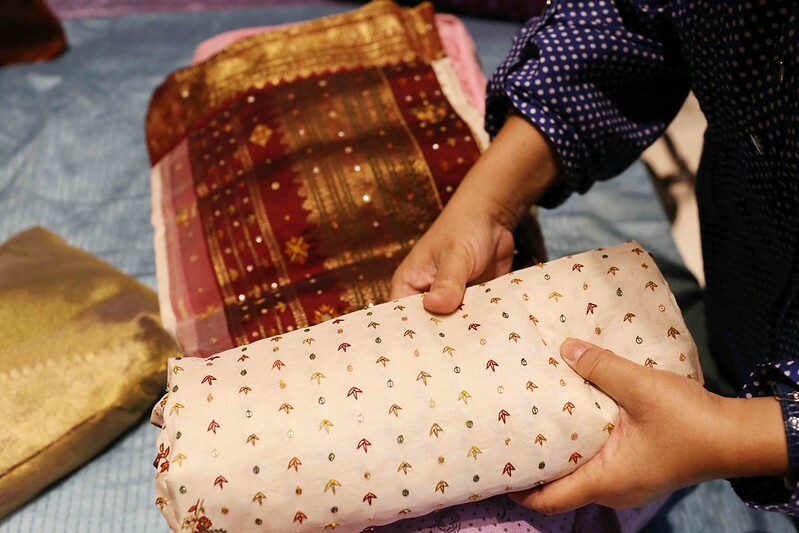 A well-known TV journalist, Vinod would get saris for her during assignments in various parts of the country. 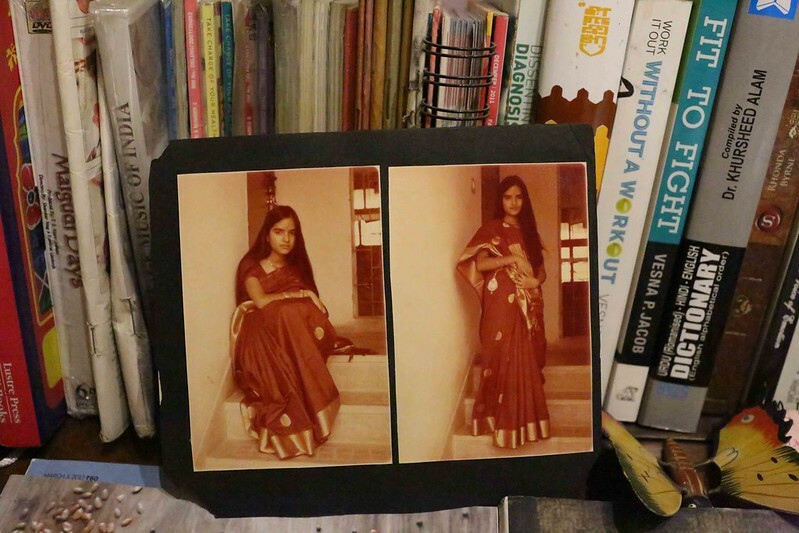 Now that’s true love… for saris, I mean. I thought there would be a picture of the gravity defying sari-hole. but Alas! So nice to see the saree collection. Great fun to see !